Seems like just yesterday we were wrapping up the holiday season but it's already mid-way into Spring and Mother's Day is in less than two weeks! Have you picked out a special gift yet? Crabtree & Evelyn has fantastic gift ideas that hint at exactly what Mother's Day should be all about: feeling extra special and taking it easy for a day. 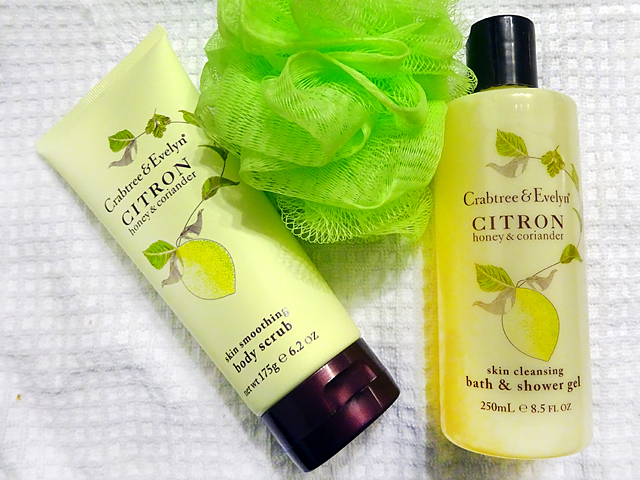 While they have a variety of options to choose from, my favourite is the Citron, Honey & Coriander Deluxe Set. Continue reading to find out what's included and enter for a chance to WIN one for yourself or your mom! 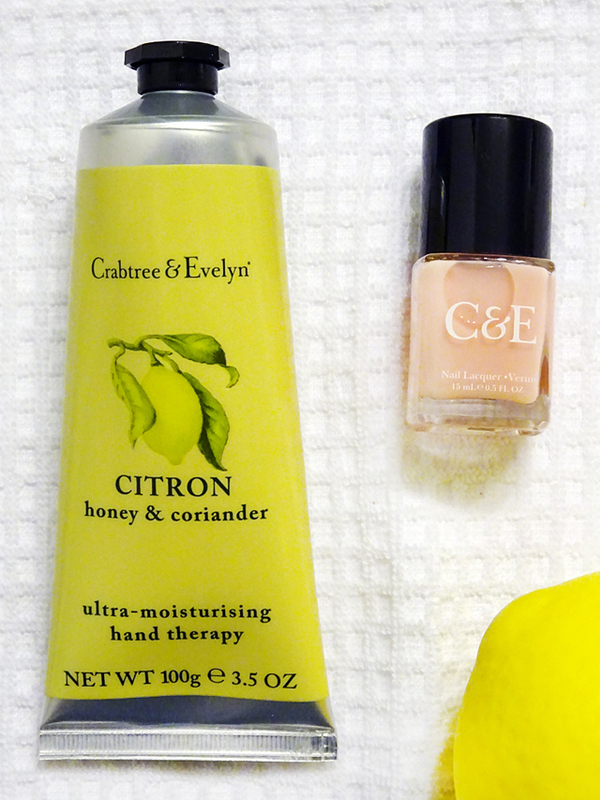 Ultra-Moisturizing Hand Therapy: If you haven't tried Crabtree & Evelyn's hand moisturizer before, this is one product I insist you pick up. Winter is almost over so your hands may not feel as dry or cracked but this is a saviour during those cold months. My skin is really temperamental though, so I keep this in my bag at all times. It has shea butter and macadamia nut oil, which helps to protect your hands and keep them soft and healthy. Nail Lacquer in "Petal Pink": I tried this polish last week and was really impressed with how long it lasted without chipping. It's a blush pink tone that comes out very natural with one coat. The more coats you apply, the darker the colour becomes. I did two coats and it was a really beautiful, light peach shade! Skin Quenching Body Lotion: At this point, I'm sure you are just as obsessed with this light, breezy fragrance as I am. 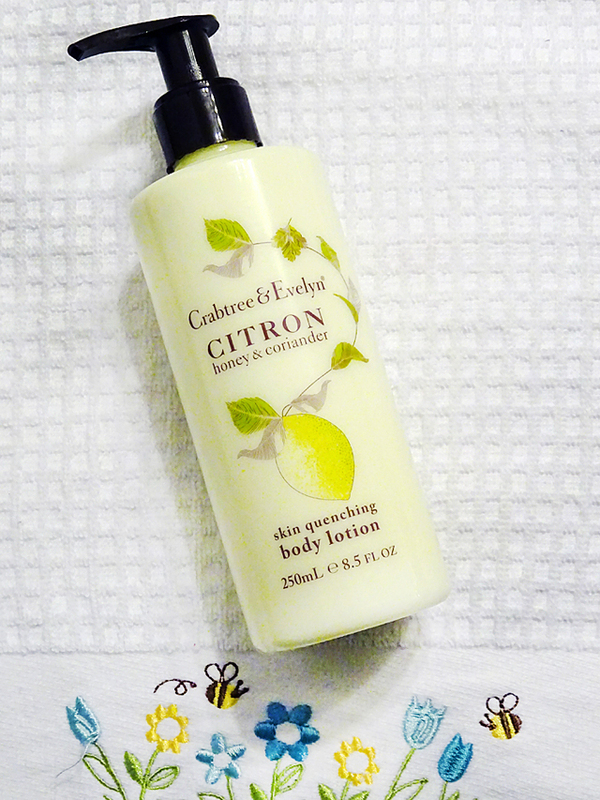 The Citron, Honey & Coriander body lotion is oil-free, non-sticky and lightweight. It lathers on really gently and I really like using it right before bed time. Bath & Shower Gel: This product is a quite a treat when you're taking a shower! The first time I used it I thought someone was making fresh lemonade somewhere in my condo... that's how fresh it smells and feels! There is also a hint of sweetness and coriander, which neutralizes the strong, lemon scent. The shower gel turns into a nice foam texture, making it easy and fun to lather and bathe with. Skin Smoothing Body Scrub: I'll admit I haven't had a chance to use the body scrub yet, but based on all the other products in this gift set I'm certain I will love this as well! 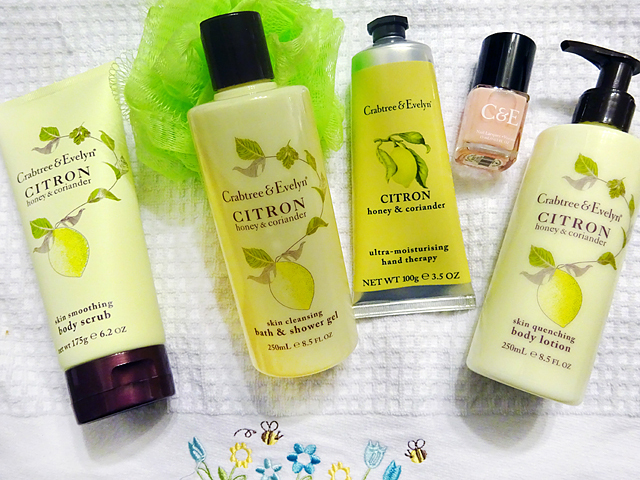 Enter for a Chance to WIN The Crabtree & Evelyn Deluxe Set! Thanks for Crabtree & Evelyn, I'm really excited to give one lucky reader the opportunity to try the Citron, Honey & Coriander Deluxe Set. This package includes all of the above photographed above in a beautiful, floral-printed gift box. 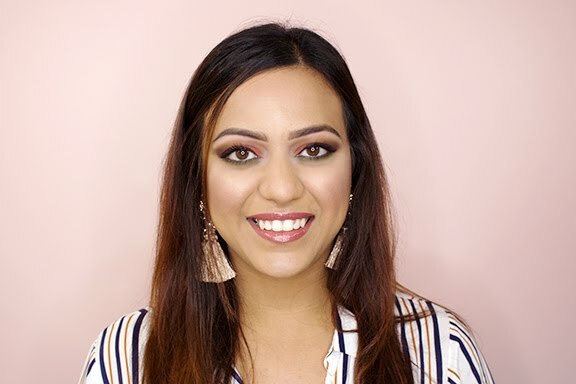 To be eligible, you must leave a comment on this post telling me which product from this line you are most excited to try! Please indicate you did this step in the Rafflecopter widget below. You can also collect extra entries via social media. This contest is open to Canadian residents only and will close on Sunday, May 3, 2015 at 11:59 p.m. ET.